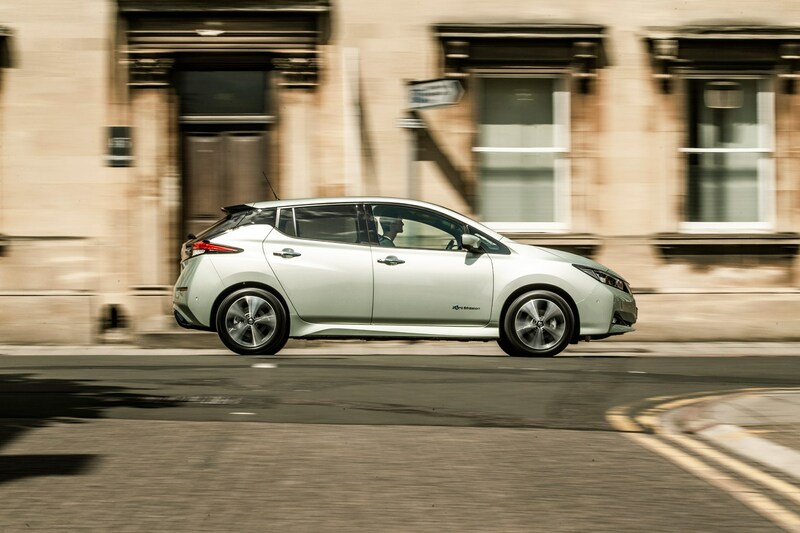 There are some excellent features and aspects of the Leaf, and there are some woeful ones, too. The driving position is appalling. Imagine teetering atop one of those lifeguard lookouts in an over-upholstered chair with a squab designed to push your face up against the windscreen. Now pretend you’re holding a steering wheel that sits far too close to the dash, but is only adjustable for rake. Next, add a rakishly angled windscreen that positions the header rail at eyebrow height and the sun visor to within scraping distance of your forehead. And lob in some obese A-pillars and a huge rear-view mirror housing to severely limit forward visibility. It’s a ground-breaking car piloted by a horribly uncomfortable driver. I'm thoroughly intrigued by the thought of life with a Leaf. 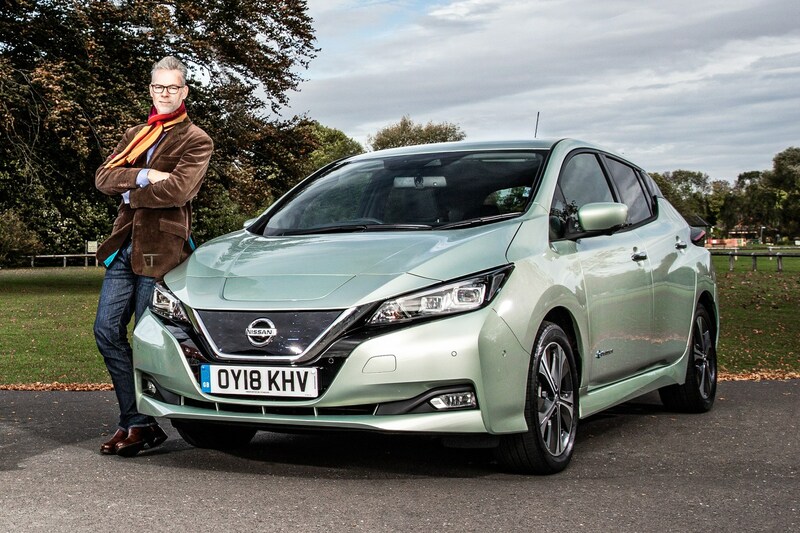 So many questions to be answered during my six months with the electric Nissan. How will it cope with the daily demands of family transport? Will I enjoy driving this harbinger of our future? Will its design get any easier on the eye? And will my utterly car-mad Aston Martin-driving neighbour ever look me in the eye again? Top of the to-do list ahead of meeting up with Jake and heading home in the Leaf was getting in touch with Chargemaster to arrange the installation of a domestic wall-mounted charger. Within four days of my initial call, a 7kW wall unit was mounted on my garage wall, at a cost of £295 alongside the government's £500 OLEV grant. And then it was off to meet young Groves, who could barely believe his luck that he was swapping the Leaf for an Up GTI. The GTI is so him. Our meeting was a baptism of fire. 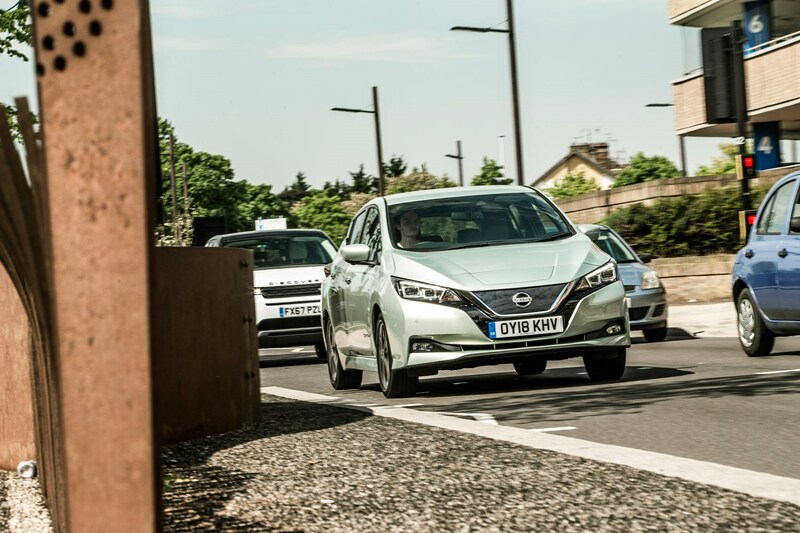 We met near Egham in Surrey – a mutually convenient location – and when he arrived in the Leaf it had just 10 miles of charge remaining. The first charge station we tried – a Shell with a Geniepoint charger – wouldn't recognise the Leaf, so we had to drive at a glacial pace six miles up the road to the charge station at the Windsor Lawn Tennis Club for an hour's worth of 50kW CHAdeMO charge – sufficient for the 85-mile trip home. 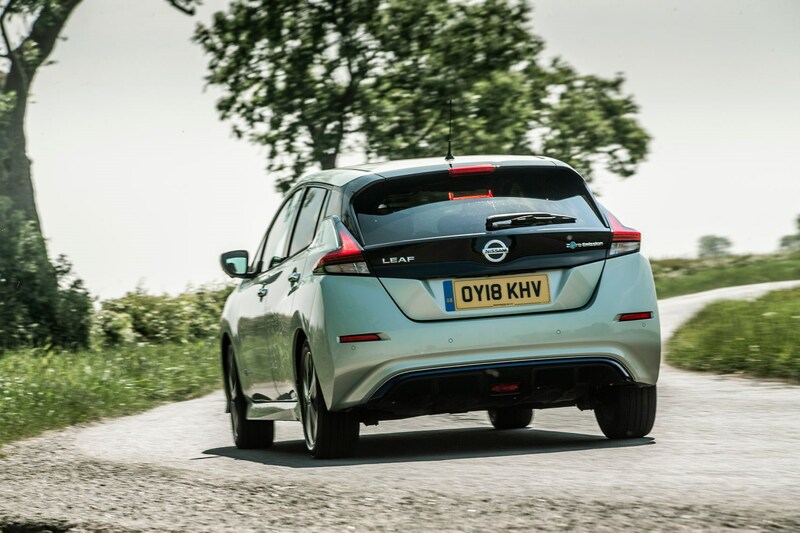 During that drive it struck me that the rest of the Leaf lags some way behind its all-electric powertrain. Let's see if that view changes over the next six months. 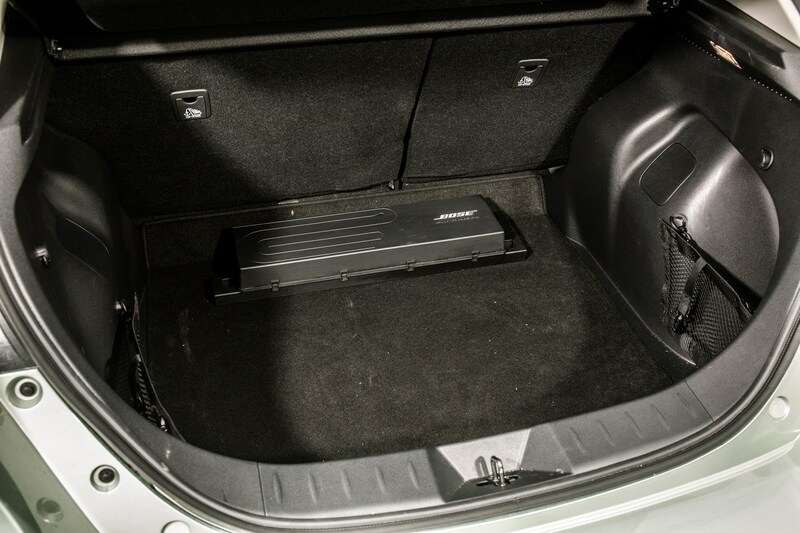 I’ve previously moaned about the amount of boot space eaten up by the amplifier for the Leaf’s energy-efficient Bose stereo system. But it works really well. There’s plenty of flexibility, allowing for thumping bass or crystal-clear vocals – I just have to make sure I don’t blow out the windows. If only it had the Micra’s Personal Space headrest speakers. After this report, the Leaf is going on to another keeper. I, meanwhile, will be slipping into something a little more tartan-ish. Charging is less hassle than some make out, but still requires serious forethought and isn’t without hiccups. 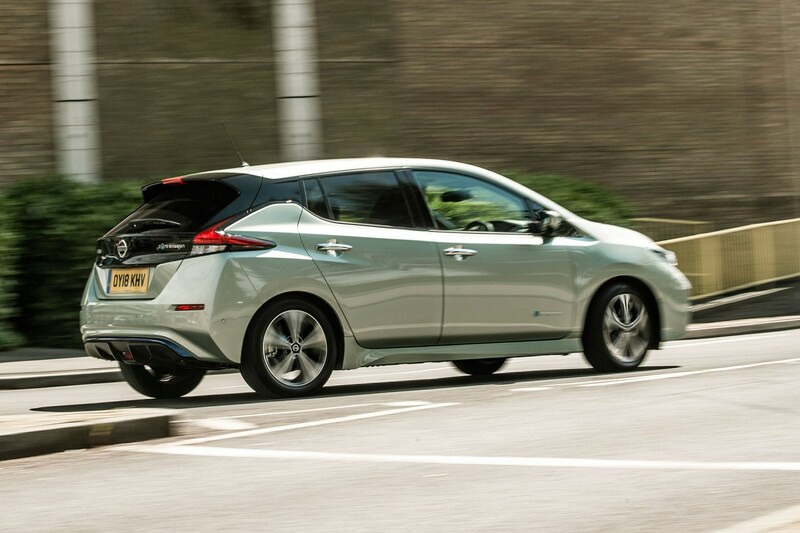 I’ve been using the Leaf for airport runs, swishing silently to Heathrow for some early-morning flights, quietly hoping that there will be a spare charging bay to leave the Leaf chowing down on some kilowatts in while I’m away. 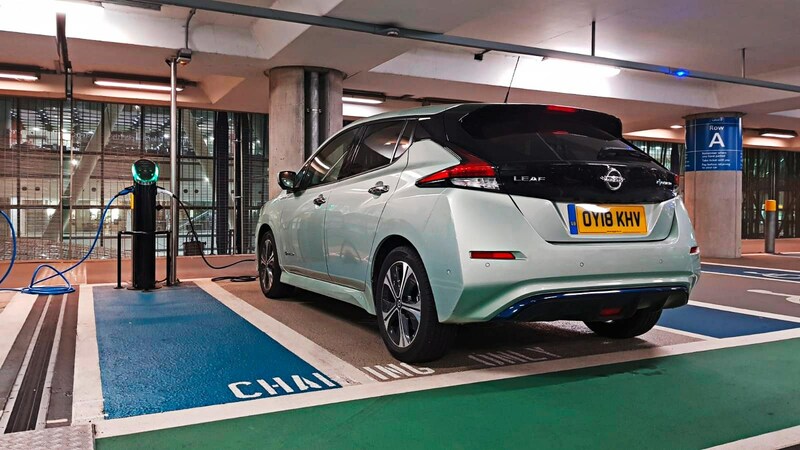 I left the Leaf at Heathrow T5’s short stay car park – it’s pricey, but it’s the only official car park with any EV charging stations, hosted by Pod Point. There are only four EV bays in the whole 3000-bay multi-storey, and none elsewhere within the terminal’s official car parks. Terminal 2 has 26, while T3 and T4 can both serve only four cars at a time, all in short-stay parking. Anyway, I luckily nab a space, plug in, confirm the charge on the Pod Point app and head off to catch my flight. 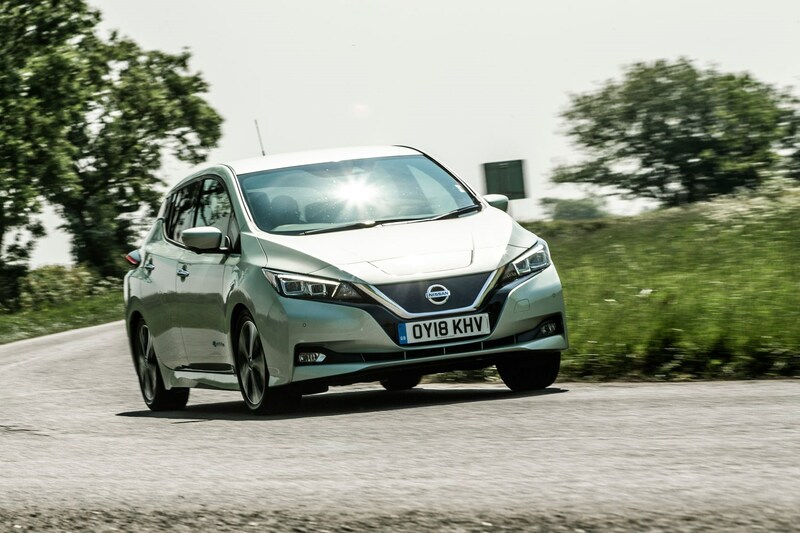 An hour later, just as I’m sitting down for take-off, the NissanConnect app notifies me of a ‘successful’ charge which has added just eight per cent, taking the battery up to 28% (around 40 miles). Not enough, as my journey home is 96 miles and that assumes there won’t be significant delays or roadwork diversions, and doesn’t factor in a heavy right foot. I had to hit ‘confirm charge’ four more times on the journey to make sure I had enough power to get back home on my return – not exactly stress-free. EVs should come with an advisory to ensure you’re handy with a smartphone. If you’re planning on making the switch, sign up for accounts on Ecotricity, Polar and Pod Point ahead of time on your smartphone. 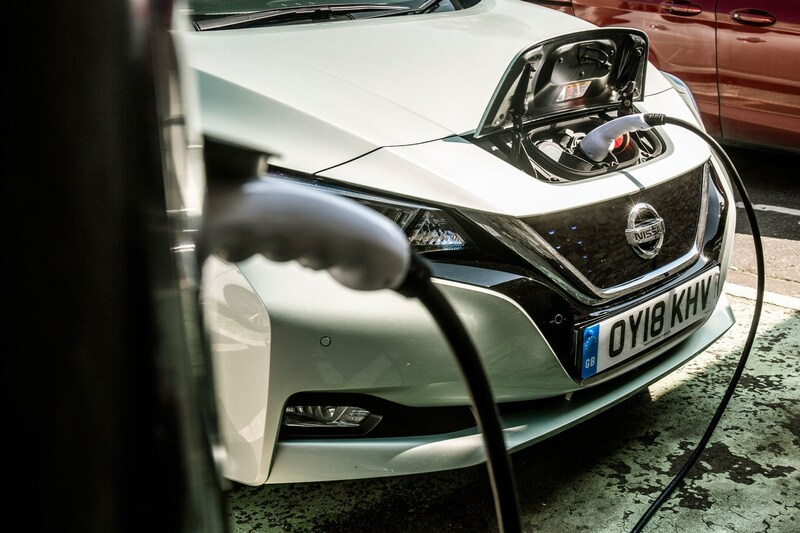 It’ll save you faff come charging time when plugging into one of the three biggest charging networks in the UK. Zap-Map, the app that plots charge points and uses Waze-like crowd-sourcing to warn of non-functional or busy chargers, is a big help in staying ahead of the curve. Plenty of EV users have used the app as a way of making their feelings known about the insufficient number of chargers at key spots such as airports, and now I know exactly what they’re talking about. The infrastructure is improving hugely, but there’s still quite a way to go. Let’s talk about the Leaf’s boot. It measures 435 litres, which is bigger than the likes of the Renault Zoe, VW e-Golf and Kia Soul EV. There are quite a few compromises to get that space, though; while there are handy bags for your charging cables and little nets to slot the bags in at the sides, the actual opening is really weirdly shaped – almost like a teardrop. 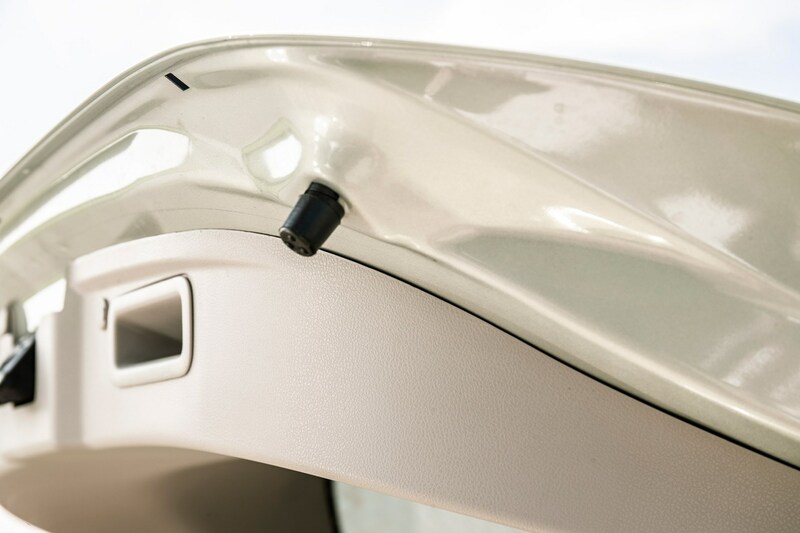 My colleague James Taylor, who borrowed the Leaf to drive to a guitar lesson, had a struggle getting his instrument to squeeze in, battling the pincer movement of the high load lip, the big Bose audio unit screwed to the boot floor and rear seatbacks that don’t quite fold flat. 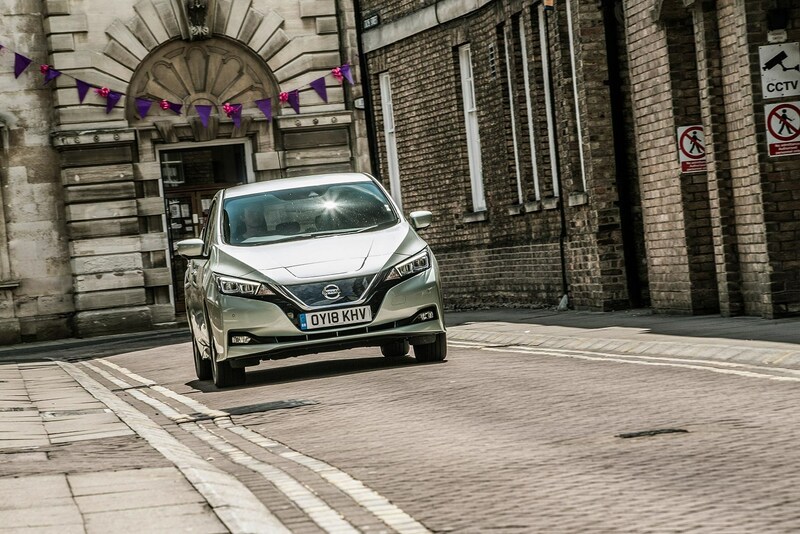 I appreciate that making an EV comes with compromises, but when one is built from the ground up like our Nissan, surely practicality niggles should be few and far between? Bang! Argh! Rumble, rumble, rumble. 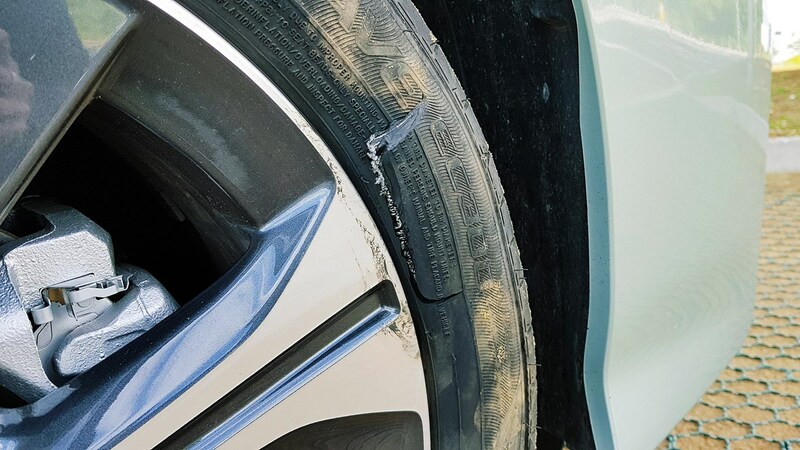 I’m not good at describing moments with onomatopoeia, but that’s pretty much what went down as I was merging onto a Peterborough ring road at about 60mph when my Leaf’s front right wheel met with a stray block of wood about the length and height of a railway sleeper in the middle of a dual carriageway, at rush hour. It was a massive hazard, and one that I hadn’t spotted until it was too late as I watched for traffic behind me while merging. I coasted the Leaf to a halt after hitting it, mounted the kerb to avoid adding to the hazards, and climbed out. Before I could even reach for my phone, a police car had swooped in to close the road, but three cars had collided into each other trying to avoid the obstacle before it arrived. No injuries there, but I still counted myself lucky I came away from it only with a blown tyre. We were all guided to a nearby layby to await recovery. Assistance arrived two hours later and I was towed to Smiths Motor Group Nissan in Peterborough. 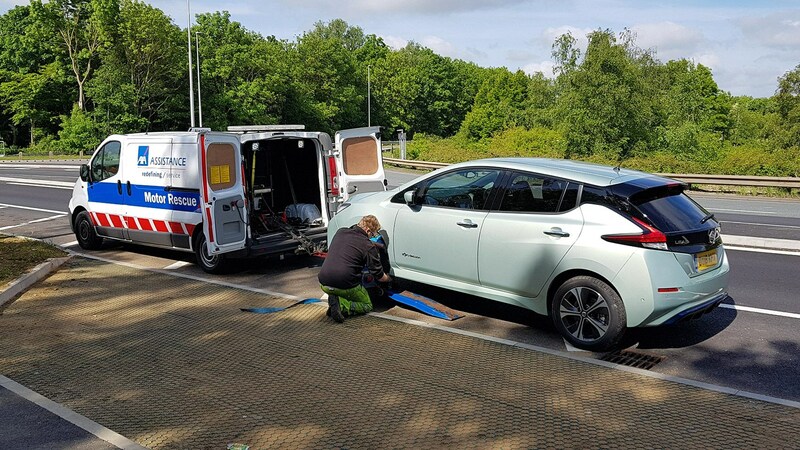 Nissan UK claimed the tyre on the Leaf’s insurance (as Cambridgeshire Police provided an incident number, proving it wasn’t my fault) and three hours later the Leaf was returned sparkling clean, charged and fitted with a new Enasave EC300 eco tyre, like it never happened. I can say with absolute certainty that I am the least-prepared person on the CAR team to run an electric car. 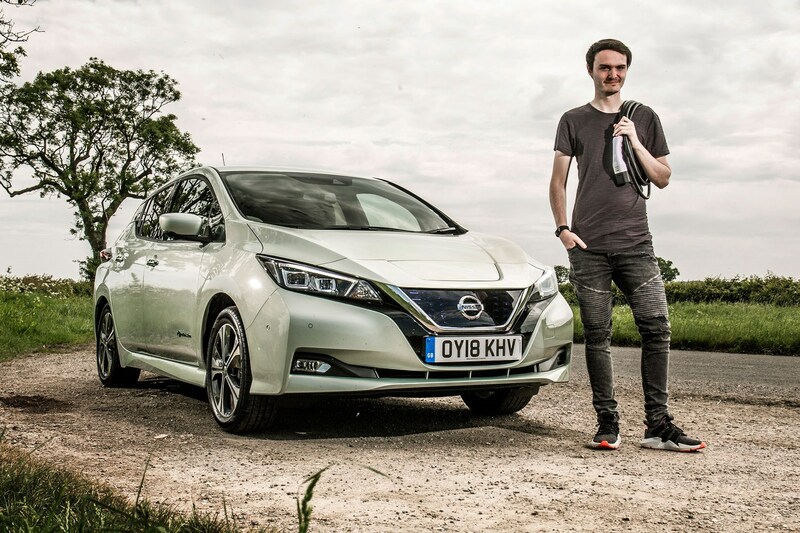 Up until my new Leaf long-term test car had arrived, I had driven just two – CAR's BMW i3 and Tesla Model S long-termers – in both cases for a short commute. I’ve got only the shakiest grasp on how the whole charging situation works, and in any case I don’t (yet) have the landlord’s permission to get a wallbox fitted for faster charging at home. But how hard is it to live with one, really? This is the future, after all, whether some of us like it or not, so why not take up the challenge? In fact, EV-angelists will say there’s no challenge to it at all. I should, they say, be able to live with one with only minimal adjustment. And if I can, anyone can. 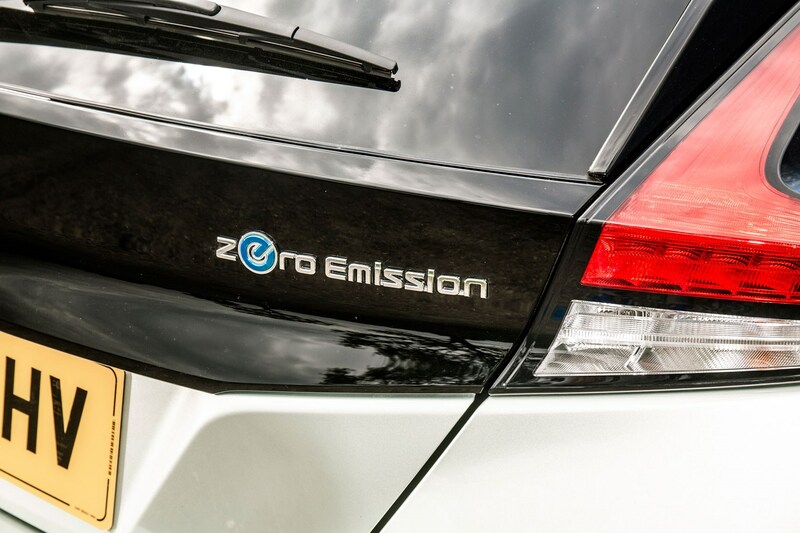 My zero-emissions weapon of choice, then, is the second-generation Nissan Leaf. The paint is called Spring Cloud, and the spec level is called Tekna. 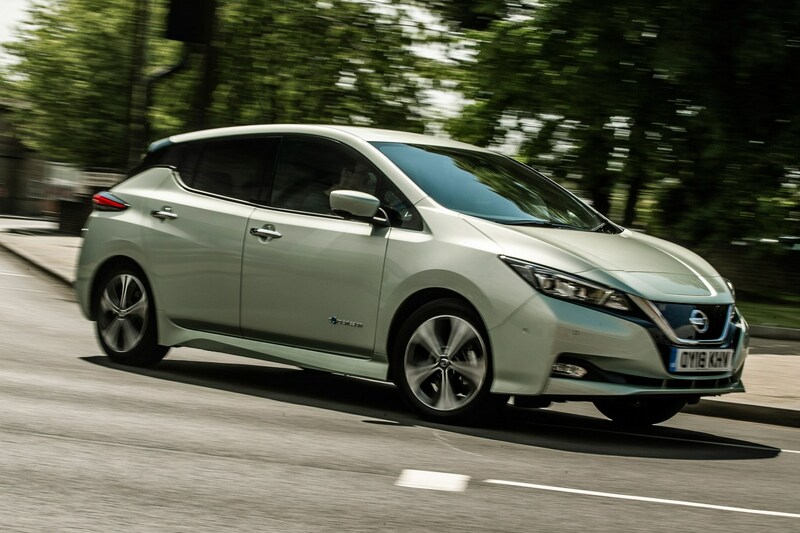 Spring Cloud looks terrible on Nissan’s online configurator – more like Stagnant Water – but better in the metal. This £575 option is in fact one of the biggest talking points about the car, if only because so many Leafs seem to be painted in Dishwasher White. Comments so far span everything from ‘I actually quite like that’ to ‘It doesn’t match the blue trimmings’ and ‘It’s a bit old person-y’. It’s growing on me; I’m just pleased it’s not a boring white or silver. 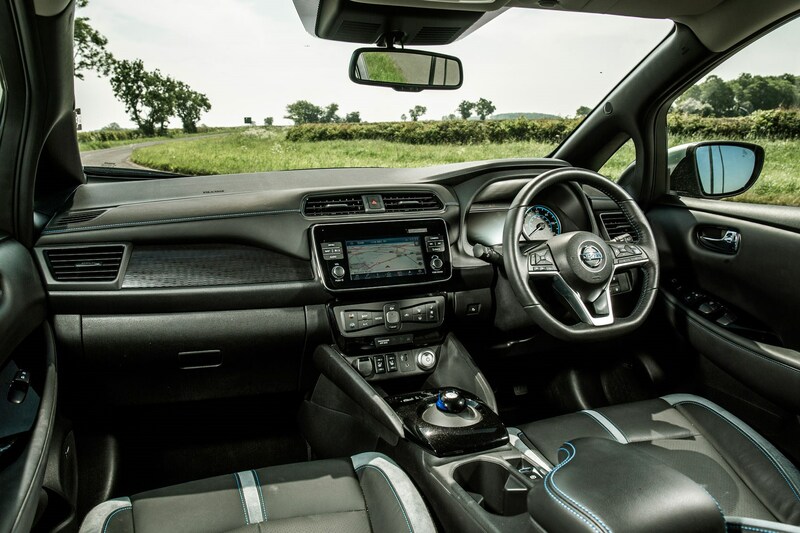 Tekna is the Leaf’s top spec level, and it has all the toys: Nissan’s ProPilot semi-autonomous driving tech, heated steering wheel, heated front and rear seats, automatic air-con, 360° parking aid and enough safety tech to rival Volvo. There’s a Bose stereo system in there, too, and while I know I can park, I’m glad I’ll have the opportunity to satisfy my curiosity about the ProPilot Remote Parking tech – a £1090 extra. The first week behind the wheel has provided plenty of first impressions. The driver’s seat doesn’t go low enough for me so I feel like I’m perched up, and I have to duck under the rear-view mirror to be able to see around sharp left-hand corners. Plus, since I’m 6ft 3in, I have to slide the seat back quite a way – and that means the lack of reach adjustment makes the steering wheel a bit of a stretch, so I can’t fully get a comfortable driving position. The boot aperture is an odd shape and the (absolutely cracking) stereo’s chuffing great amp is bolted to the boot floor, so packing big things inside is a little awkward. Still, I’ve already done an airport run and back driving like a normal human being at normal human being motorway speeds in one charge. 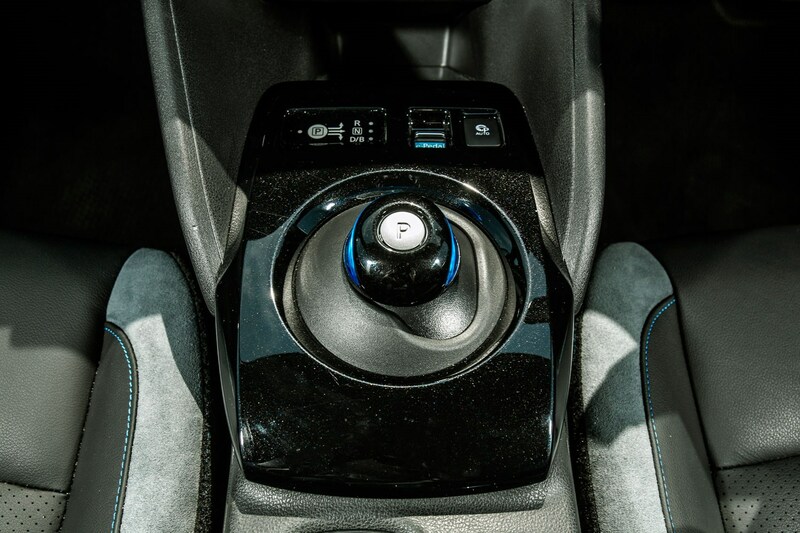 I’ve also revelled in the instant torque delivery, which can make pulling away from traffic lights a quiet pleasure for the driver, and a shock for other drivers expecting it to be as slow as it looks. And I’m finding the amount of info displayed about your energy consumption, both in the car and in the Nissan EV Connect app, is mega handy. 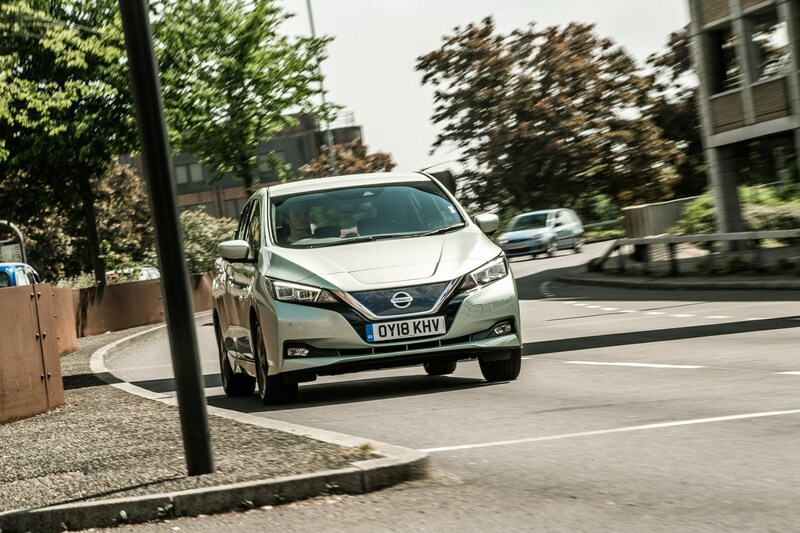 The Leaf’s e-Pedal is great for in town, too, though I’m struggling to see how it’s any different from most other battery-electric cars that have a heavy regeneration mode.